Distinguished Jewellery brand TOUS has recently launched the TOUS Touch Floral Edition, a new floral fragrance to indulge in. The design of TOUS Floral Touch brings us back to the flowers in the Dune collections. The bottle is embraced by a dedicated tin laminate decorated with flowers which the signature TOUS bear figure appears. Floral scent is widely loved by most of the ladies and TOUS Floral Touch will definitely brings us to the next level of floral fragrance. TOUS Floral Touch contains citrus top notes of mandarin and bergamot complemented with a touch of violet leaf. Bergamot scent is good for building confidence and enhancing your mood. On the heart notes is filled with gardenia, jasmine and tuberose. These are the white flowers, the silky aroma of gardenia blends with the intoxicating power of tuberose, while fresh jasmine, so radiant tenacious and filled with different olfactive facets, becomes the queen of composition. The base notes create a warm blend to the fragrance with the combination of sandalwood, white musk and a delicate fruity hint of nectarine. 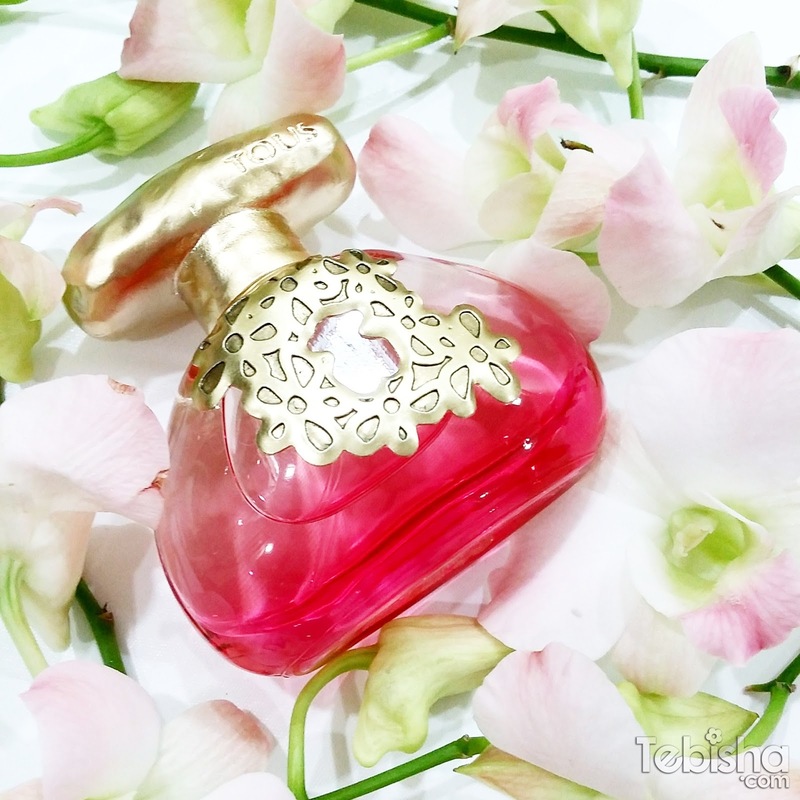 TOUS Floral Touch is definitely going be love by ladies who fancy fruity and floral scent. The pleasant fragrance will reminds you a fields of fresh floral blooms which going to bring you happiness and enliven your day! The admirable packaging beyond any doubt to be one of the alluring perfume collectables. TOUS Floral Touch EDT is now available exclusively at all Sasa stores. Retailing at 30ml – S$59.00 and 100ml – S$99.00.